After our nutty winter of ice storms and snow storms and whatnot, I’m thrilled to see some signs of spring popping up around the Fraudulent Farmstead. It’s not time to break out the spades yet; the ground is super soggy (we’ve had several inches of rain over the last week, with more to come). Still, the dedicated (and desperate) observer like myself can find a few hopeful signs. 1. Mud. It’s everywhere, including the dog’s paws when she comes into the house. 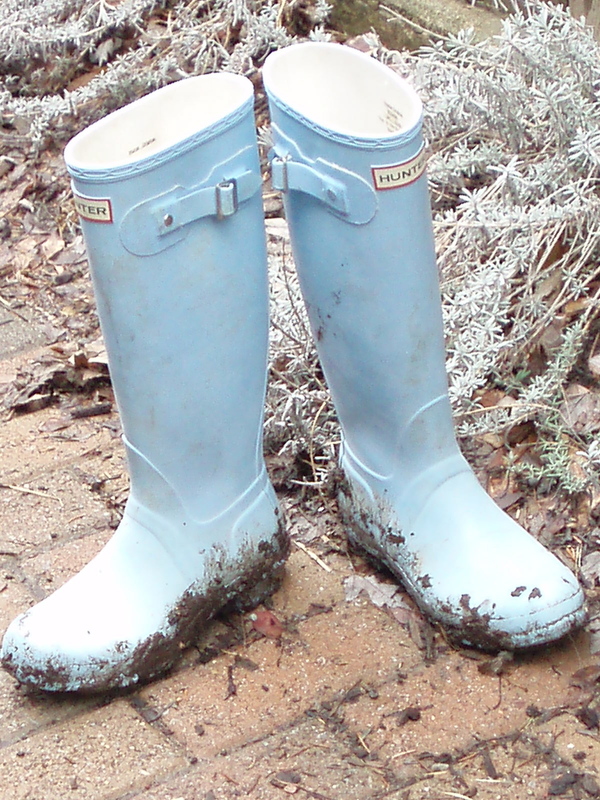 On the upside, my trusty sky-blue Wellies (at left) are still watertight and ready to take on the sludge. As a side note, the girls look much better. The sent-through-a-paper-shredder molting look is gone, and they’re starting to look like real chickens again. 3. Bulbs. 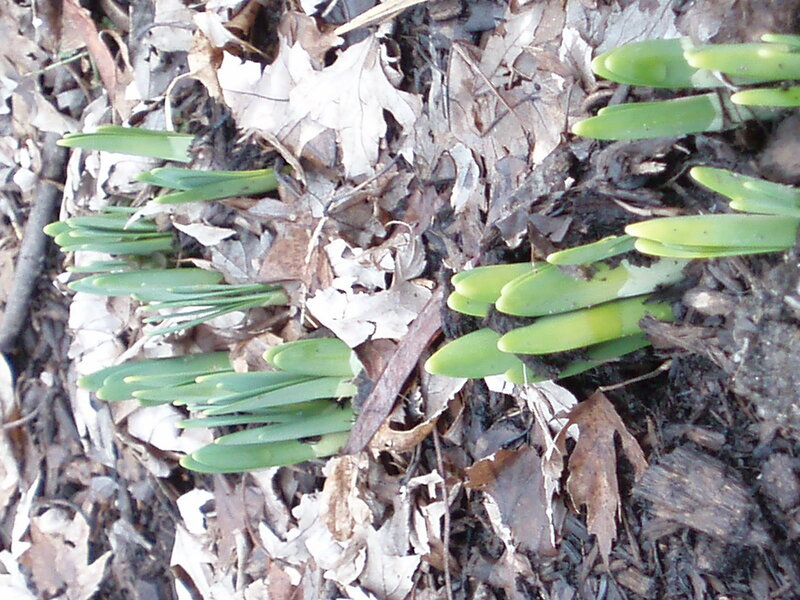 I don’t have any blooms here yet, but crocus, tulip, and daffodils (see left) are all pushing out of the soil. 4. Crazy cats. There’s something about spring that make the cats even more nuts than usual. They’re talking at us a lot and racing to the doors whenever possible. I’m not sure if it’s spring fever or what, but this crazy cat behavior has been a predictable sign of spring for years. 5. I mentioned the mud, right?